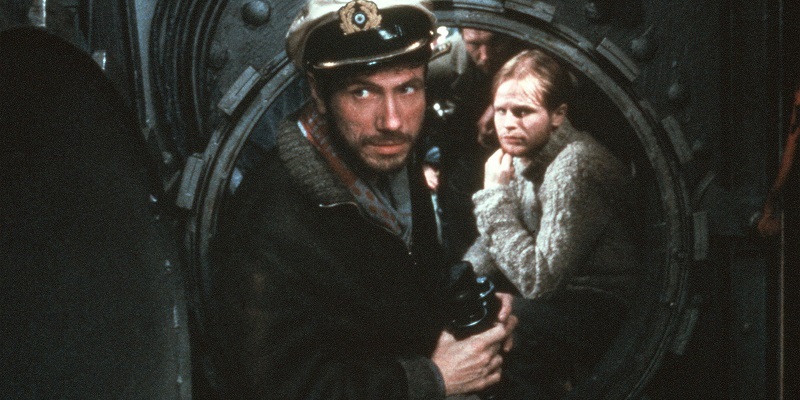 Das Boot is my Blind Spot pick for September. I understand there are several versions of the film of various lengths, but the one I obtained is apparently the best-of-all-worlds Director’s Cut, running at 209 minutes, as it contains all of the action from the original theatrical cut, as well as some of the character moments from the extended, 300-minute televised version. Having not seen any of the others I cannot offer any comparison, only to say that the version I watched was fantastic. 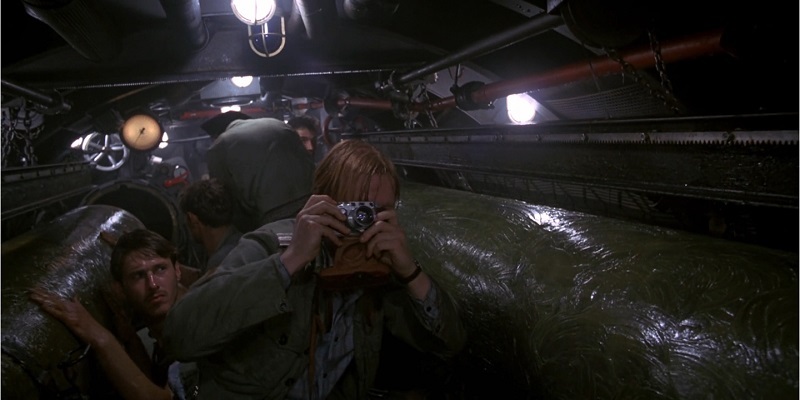 I’m a fan of war films, films that feature a group of people on a mission and films told within the confines of limitations, such as being predominantly set inside of a submarine, so it’s not much of a surprise how impressed I was with this. 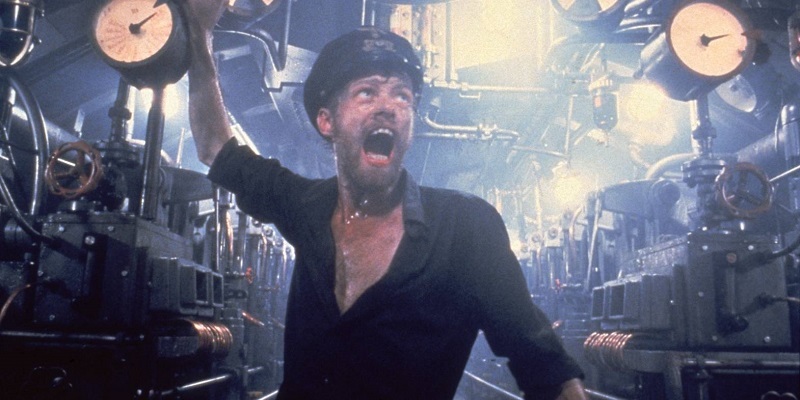 It was filmed within the confines of an exact replica of a German U-boat, which was suspended 5m above the floor and rocked and beaten as required to simulate the conditions the crew would have faced. Were the film not quite so long I’d be very tempted to re-watch with the commentary track to get a better understanding of just how hellish this must have been for the actors inside. Previously I’d never really comprehended how limited the space within the boat was for the crew. It seems even the tiniest space is filled and used to some capacity, generally with food and supplies. 50 men live on the boat for an undetermined expanse of time, but due to shifts only half of them need to sleep at a time, hence there’s only 25 bunks, behind which bread is stored. Meat is hung up around the communications room. At one point they dock and receive fresh supplies of fruit, so every shot after that point features bunches of bananas and pineapples behind these otherwise tense and grizzled, battle-worn faces. There are two toilets on the vessel, but only one is operational to begin with, because the other is filled with food. That’s how tight the space is here. Even in the officers’ quarters, the five senior crew sit huddled around a small table, and must stand up to let the working crew members past to do their duties. 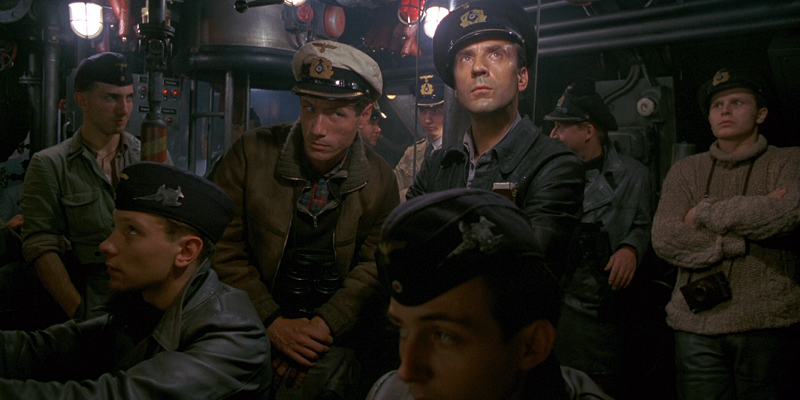 We learn all this via the time-honoured tradition of having a newbie on board, Werner, playing the audience surrogate, who is also based on Lothar-Günther Buchheim, who wrote the novel the film is based on, primarily from his own experiences on a U-boat in World War II. It remains the most efficient and reliable way to get your audience up to speed with how things work, who the important people are and what everyone is doing, without seeming forced or uncomfortably crowbarred in like so much other exposition can be. My interest in the topic aside, this is a tremendously well made film. The acting is all very solid, with many actors providing enough character with little screen time. There being fifty men on board, obviously many remain unnamed and in the background throughout, but even those with the smallest of parts convey a sense of who they are outside of this setting. Getting to know a few more would have been nice, but I feel that is where the longer cuts of the film come in. The progression of tension and danger within the plot is well handled too. I mentioned in a recent mini-review that I’ve become a fan of super-tense films, and at times this is no exception. Large portions here are spent in silence, with the boat submerged, listening for oncoming ships or depth charges. It became so unbearable that at two hours in I didn’t know if my own nerves could take another 90 minutes! Director Wolfgang Peterson plays with this tension too, offering releases both expected and surprising. A problem I thought I might have going in was knowing these were German U-boats, whose targets were British soldiers fighting against the Nazi tyranny. This is dealt with very well, however, by making the Captain and other senior officers not exactly in favour of Hitler and his plans. They dislike Churchill too, so it seems their quarrel is more with warfare and the leaders that promote it, rather than picking an ethos and defending it to their death. 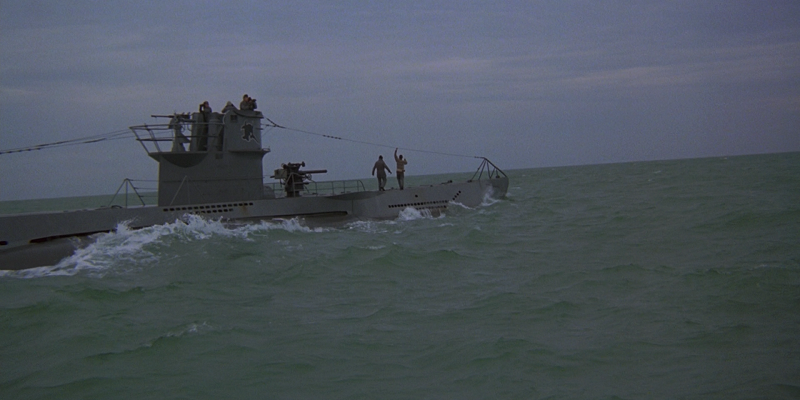 Still, the scene where the boat encounters and attacks a convoy of British ships left me feeling uneasy and downright nauseous when the Captain orders they retreat from the screaming, burning British survivors, under orders they cannot take prisoners. However, by the end of the film I’d spent so much time with this crew and found many of them to be sympathetic and endearing, that I found myself damning some of the actions of the British, which is nothing but a commendation for how well this film has been made. So yeah, I loved this film, and I’d recommend it to everyone. Yes it’s long, yes after they all start growing beards a lot of the men look the same, and yes a lot of the film is spent looking at the faces of dirty, tense men waiting for their own death, but still, this is interesting, insightful stuff, with gripping action scenes, stellar acting and a fascinating look into an otherwise untold (to me at least) aspect of warfare. 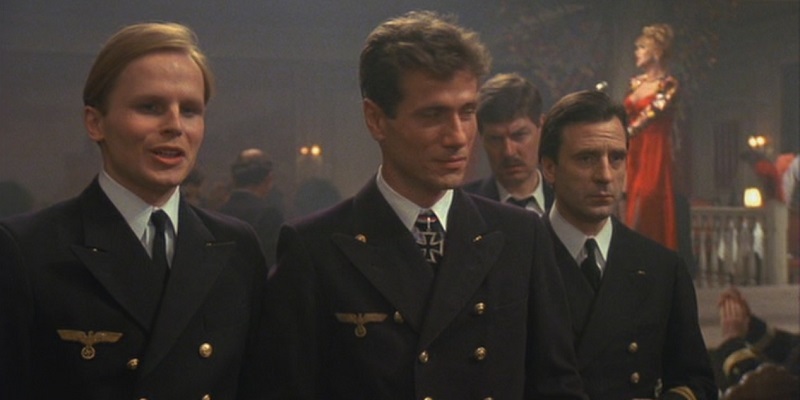 This entry was posted in 09/10, 1001, 5-Star 500, Blind Spot, Choose Film, Empire Top 500, Review, The List and tagged Bernd Tauber, Das Boot, Erwin Leder, Günter Lamprecht, Herbert Grönemeyer, Hubertus Bengsch, Jurgen Prochnow, Klaus Wennemann, Martin May, Martin Semmelrogge, Wolfgang Petersen by jaycluitt. Bookmark the permalink.